General Kim Yong-chol is arriving in New York to discuss North Korea’s denuclearization with top US officials, including Secretary of State Mike Pompeo whom Kim has met twice. 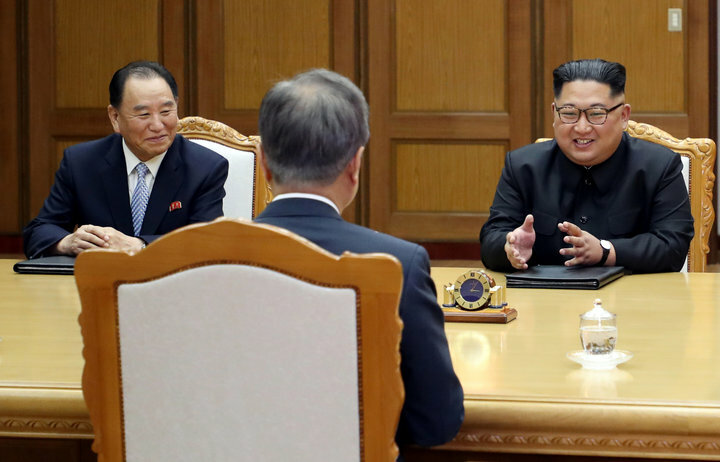 The meetings promise to be difficult because Kim has a reputation as a tough negotiator who is very familiar with intelligence and weapons issues. Kim may also have been behind the so-called Cheonan incident in 2010—the apparent torpedoing of a South Korean navy corvette that resulted in loss of 46 sailors. The US sanctioned Kim in 2014, reflecting the widespread belief, rejected by Pyongyang and Beijing, that North Korea was responsible for the sinking. Kim Yong-chol has a long resume that reflects the breadth of his experience and the reasons Kim Jong-un chose him to represent North Korean interests at this crucial time before the planned Trump-Kim summit. Most importantly, Kim Yong-chol worked on intelligence for about thirty years, including as director of the Reconnaissance General Bureau, the North Korean equivalent of the CIA. He also rose in the Korean Workers Party hierarchy, eventually becoming a vice-chair of the KWP Central Committee and a member of its important Military Affairs Commission. But what may be most notable about Kim Yong-chol is that he has served—and survived—all three members of the Kim dynasty. Thus, Kim Jong-un clearly deems Kim Yong-chol entirely trustworthy. Moreover, Kim Yong-chol has extensive experience negotiating with the South Koreans, including the comprehensive 1992 North-South joint declaration that pledged both countries not to “test, manufacture, produce, receive, possess store, deploy or use nuclear weapons” and not to “possess nuclear reprocessing and uranium enrichment facilities.” Most recently, Kim was among the North Korean leaders who met with South Koreans when they issued the Panmunjom Declaration on inter-Korean relations and the nuclear issue. A fair assumption is that Kim Yong-chol will spell out the conditions under which North Korea would embrace “complete, irreversible, verifiable denuclearization,” the official US position. He will no doubt insist on establishing a step-by-step framework for dismantlement or, possibly, some other arrangement for dealing with North Korea’s nuclear arsenal. And at each step, Kim presumably will want to know what the US is prepared to offer in the way of firm security assurances, starting with an official renunciation of the John Bolton “Libya model” that Pompeo has now invoked to deal with Iran. The New York meetings will therefore either pave the way for a substantive agreement at the summit in Singapore or become another roadblock to ever holding one. So is it your current view that the Bolton- Libyan warning was a brilliant piece of diplomacy—offering a bargaining chip in the opening round of negotiations? In my humble opion this effort will be fruitless. The North Koreans idea of denuclearization in the region includes more countries than their own. I would love to watch the exchange between Kim Young-choi and Pompeo. The text of the discussions would be great too, but misses the body language!